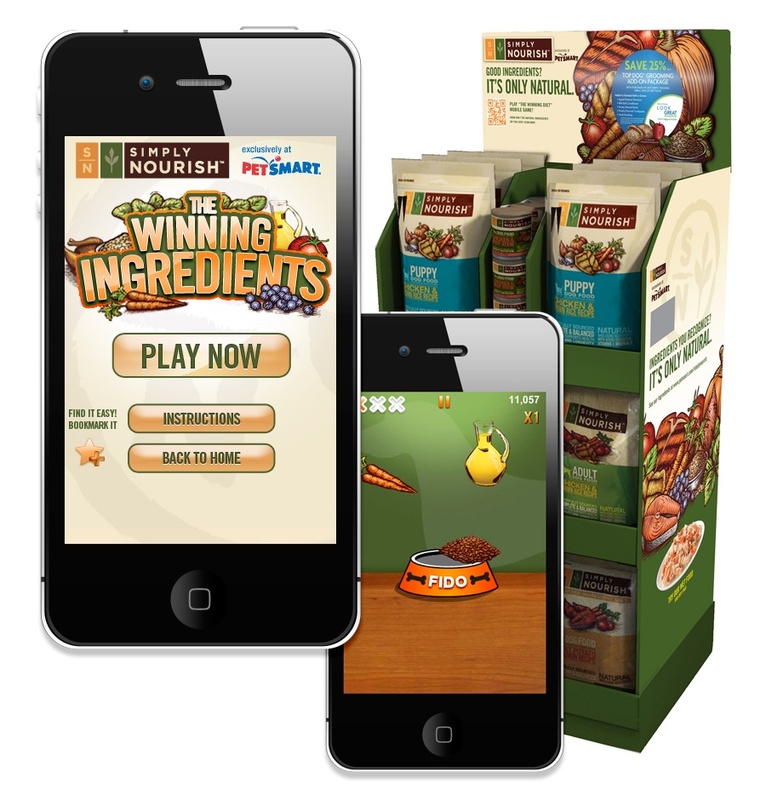 When PetSmart was looking to launch its new Simply Nourish brand and drive awareness among its store associates and consumers, we got the call. And we developed a smart integrated program that brought the brand to life in-store, online and on-the-go—for consumers, store associates and the trade. PetSmart has a variety of proprietary pet foods and other items that are on par, and compete with, national brands. Having just developed an “all-natural” pet food, PetSmart sought to launch its new product in a crowded, competitive premium marketplace against national brands with larger budgets and more exposure. While the client asked us for “a promotion and a shipper,” we knew we could jump-start the Simply Nourish brand by creating engagements that matter—to every PetSmart audience—across the natural pet food category, by connecting isolated tactics into a strategic story. We thought about how store associates would experience the brand, so we created a pre-launch contest, as well as a series of newsletters with coupons that encouraged them to try the new brand with their own pets. Break room digital video prior to launch outlined the brand story for associates. Efficient production meant we could reframe the video for consumer consumption on the Simply Nourish microsite later on. True enough, we developed that “shipper” the client wanted. But we took it further. Displays borrowed packaging elements, and included take-aways on the brand’s story. These displays either cross-sold a then-happening promotion—like an integrated campaign with Grooming department—or included a QR code/mobile activating consumers to branded mobile touch points, like the engaging “The Winning Ingredients” mobile video game. 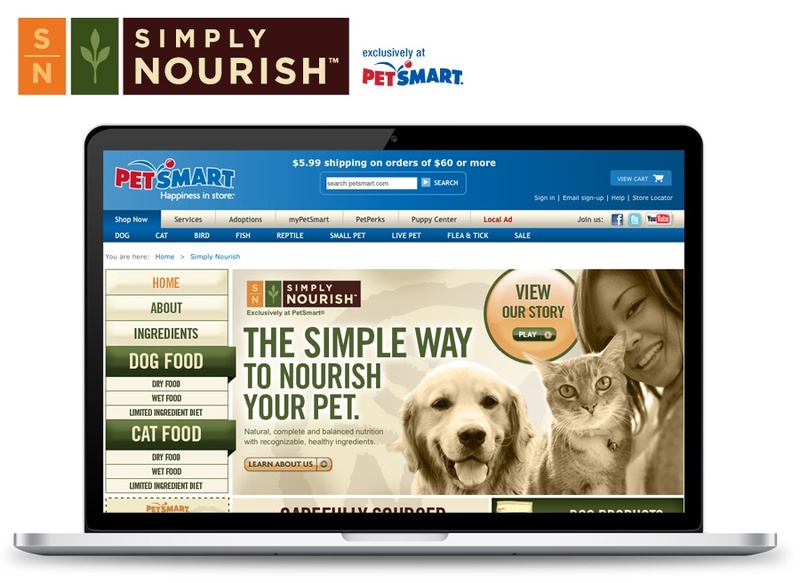 The Simply Nourish-branded microsite at PetSmart.com carried the brand story to the web, and SEO continues to help consumers find the brand. Also online, coupons drove trial. 8,000 shippers in nearly 1,200 stores in the U.S. and Canada, along with sales associate training materials, ensured a successful launch—so successful that store managers regularly called corporate begging for more product because stock sold out so quickly.